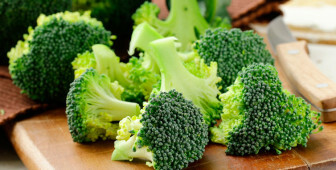 Are you a big fan of this healthy vegetable and you would like to share some with your dog? Is lettuce really something dogs can enjoy and benefit from? Let’s find out! Pickles are maybe not typical dog food, but dogs like to try everything, right? So, are pickles fine for your dog to have or should you keep them out of reach? Your dog is looking at you eat cantaloupe and wants to get a piece as well. Should you give in or could it be dangerous for dogs to eat cantaloupe? Let’s find out! Can dogs eat pears? Is this delicious fruit safe to share with dogs or not? If yes, how should you serve it in order to provide your dog with the best health benefits. If not, what to do if your dog has eaten a bite or two of it? Discover everything there is to know in the article. These four vegetables are some of the healthiest and most popular vegetables for us humans to eat. Rich in various vitamins, minerals, antioxidants and nutrients they are a healthy choice as part of a nutritious diet. Is it the same for dogs? Do they get the same benefits from them? Let’s take a closer look! We all know how excited dogs get when they see food coming towards them. Apart from their regular dog food, adding a bit of homemade treats made with love by their owner might really make your dog’s day. Check out these amazing 35 treat recipes you can make for your dog right now! Turkey is considered a very healthy meat for us humans. It is rich in protein and low in fat which makes it a perfect meal for fit people. But is turkey safe to share for your dog? It indeed is, but under certain conditions. Let’s discover which ones!